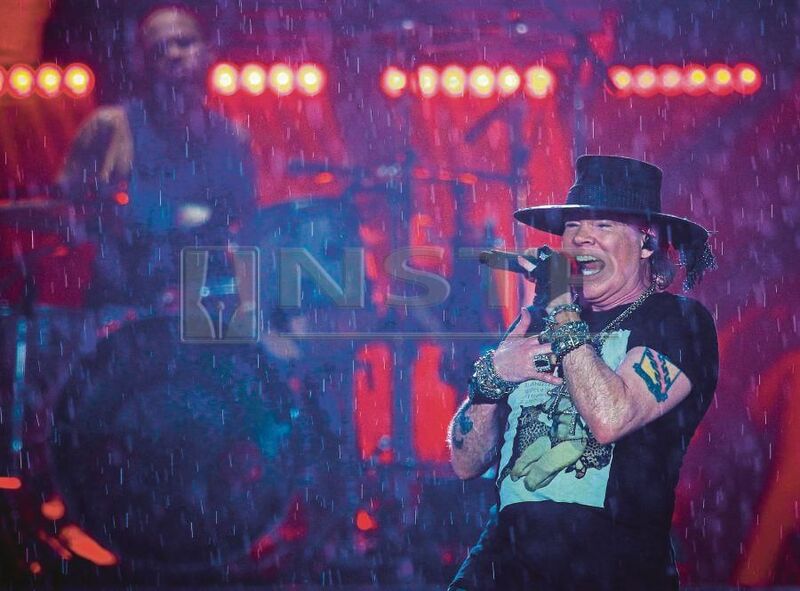 PETALING JAYA: Although it was a wet affair due to the rain, the music by Guns N’ Roses was nevertheless scorching during the American hard rock band’s Not In This Lifetime concert at the Surf Beach of Sunway Lagoon here last night. 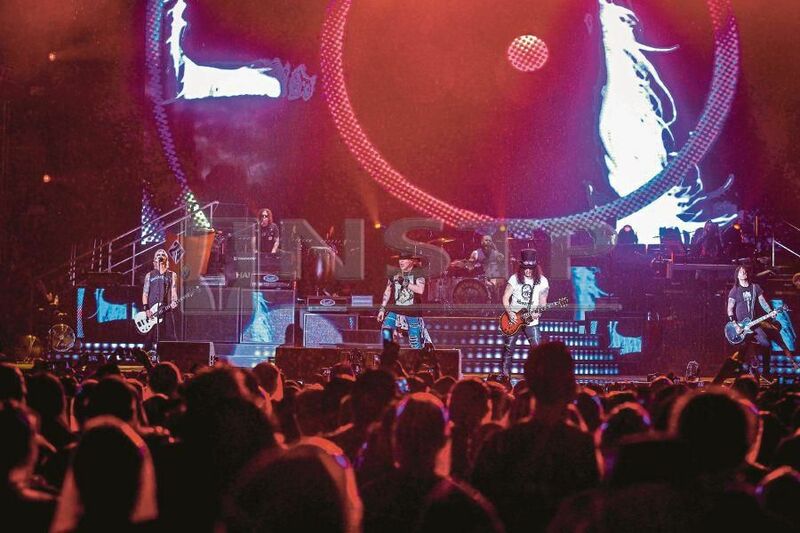 The legendary 1980s hard rock outfit from Los Angeles, headed by vocalist Axl Rose, lead guitarist Slash and bassist Duff McKagan, entertained a crowd of almost 30,000 fans with a rocking setlist of close to 30 songs. Known for its loud numbers and heart-felt ballads, the trio, accompanied by keyboard players Dizzy Reed and Melissa Reese, as well as guitarist Richard Fortus and drummer Frank Ferrer, performed classic tracks like Sweet Child O’ Mine, Welcome To The Jungle, Paradise City, Knockin’ On Heaven’s Door, November Rain, Don’t Cry and Patience. The enthusiastic crowd obliged willingly when, at one point during the concert, Rose shouted: “Oh Malaysia, I want to hear you scream!" While McKagan played it cool by just providing the low end with style and some backing vocals, Rose pranced around the stage and gave it his all on the mic. The singer even showed his skills on the piano by tinkling the ivories for November Rain. 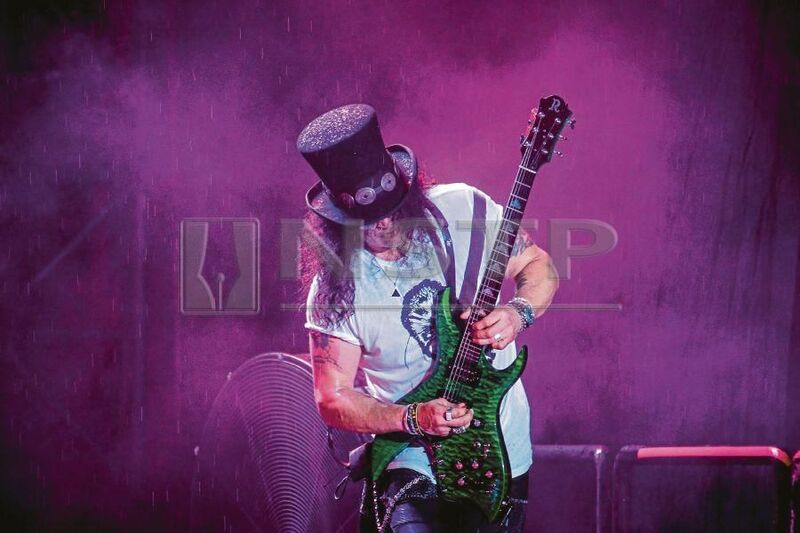 Meanwhile, guitar fans were thrilled by Slash’s dexterity on his six-stringed electric axe and roused fans up even more during his solo segment. The rest of the band also provided solid backing to the rocking tunes during the two-hour concert. The legendary band had previously performed in Indonesia and the Philippines before Malaysia and will be heading to Taiwan and Hong Kong to complete the Asian leg of its world tour. The Guns N’ Roses — Not In This Lifetime Tour Live in KL concert is presented by GCOX, organised by Galaxy Group, in association with LAMC Productions and Rockstar Touring, and co-sponsor by Lambo Place and GEM Live.